Thanksgiving is coming and it is time to start planning! What’s for dinner? Pumpkin pie or pumpkin cheesecake? Two tables or one? Should I add Thanksgiving decorations to the living room or is the mantle enough? Glamorous tablescape or farmhouse tablescape? Decisions, decisions! We are still in the planning phases of where we are having Thanksgiving, which day we’re celebrating (blended family fun!) who will be visiting when, etc. but no matter where we have Thanksgiving, which day we celebrate or who joins us, the table will be beautiful! As of now we are leaning towards Friday so our kids don’t have to choose which parent to see on Thanksgiving (does it ever end?) and also in hopes that my brother and his little guy can join us. As for decorating, if we celebrate at our cottage in Michigan we’ll go farmhouse for sure. If we host at our apartment in Illinois we’ll probably go glam- or rustic. <– How’s that for indecision? I must say one of the hidden perks of having two houses that you use pretty much equally is you can decorate one in your usualy style and the other in a style that may be more trendy or that you are liking on a whim. No matter where we are, I need some tablescape inspiration and of course, I turned to Pinterest for ideas. And of course, I found about 42,000 ideas that are all fabulous. I’ve narrowed it down for you and these are my absolute faaaavorite Thanksgiving tablescapes for this year. And, we are talking about having our first ever Friendsgiving this year, which will be a whole new level of planning. Formal dinner, casual dinner, open house to increase the guest list with just appetizers and cocktails, everyone bring a dish… it’s a good thing I love party planning and entertaining! If you’ve hosted a Friendsgiving, I’d love to know what you ended up doing. We have lots of friends and different friend groups. There is no way we can accommodate all of them. So, we could have the usual crowd over, which would be fine, or we could have an open house and see all of our friends. But our place is pretty small- what if they all show up at once? Your Friendsgiving strategies would be greatly appreciated in the comments. Back to tablescape planning. These next 12 Thanksgiving tables are all beautiful in their own way and should meet everyone’s styling needs. Which is your favorite? Are there any that you surprisingly like? 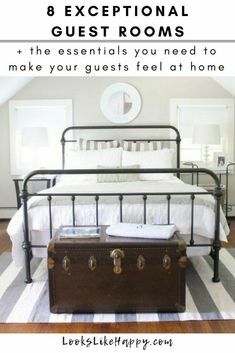 My decorating style has always been eclectic-leaning-towards-farmhouse, but I will admit that I really like modern style design lately and even more surprisingly, Bohemian! <Who woulda thought?> Part of me thinks I am a wee bit (ok, more than a wee bit) too old for Boho, so I have been enjoying it in both of my daughters’ apartements. They are such great decorators at 20 and 24! I absolutely love this tablescape. Living with Landyn shows us how she made these white and gold pumpkins by spraypainting the orange ones left from Halloween, so this speaks to my frugal farmhouse heart! Isn’t this gorgeous? I also love the natural table runner that can be used year round and for every holiday. The exact table runner does not seem to be available any longer, but you can find a similar runner here. If you are going for a rustic Thanksgiving tablescape, this is perfect! Wouldn’t it be amazing to have Thanksgiving dinner outside? Since our choices are Michigan and Illinois I doubt this will ever be a possibility for us, but those of you in warmer climates I’d love to hear about your outdoor Thanksgivings! I love this! It is perfect if you are going for casual, it’s perfect for a kids’ table and it is perfect for Friendsgiving. Do you know how to do this fancy brush lettering? I seriously spent hours one weekend working on it and in the end it looked like a 3rd grader learning cursive. BUT, I think regular old cursive writing would do the trick and be just as cute. The white candles and pumpkins with the greenery are tastefully simple. See more photos (and download a brush lettering workbook!) over at Lemon Thistle. If you are having trouble finding wide kraft paper roll locally this one is 48″ x 100′ and under $25. You could use this for quite a few tablecloths! (Thanksgiving, Friendgiving, Christmas, Hanukah, every kids’ table, birthday parties…) If you’re wondering where you can find these perfectly melty candles- Goodwill or any other thrift store should have tons. Hometalk shows us how to recreate this glamorous country tablescape. With pumpkins and leaves in rust and gold tones, this Thanksgiving table is perfect for Fall. The way the table runner is “scrunched up” you could totally do this as a DIY with a length of fabric from the fabric store- no sewing necessary, just scrunch and tuck the edges under towards the middle and no one will know. If you live on the coast chances are you have a coastal theme of sorts going on in your home. H2O Bungalow makes excellent use of her coastal dinnerware by adding muted pumpkins and a few elements from the beach in the below coastal Thanksgiving table setting. You normally wouldn’t think of light blue as being a Thanksgiving color, but with white pumpkins being readily available pretty much everywhere lately any color can be a “Thanksgiving color” with the right accent decor. So think outside the box and use your existing dinnerware – you’ll save some money not buying a new set of dishes and it’s unexpectedly fun! I love hydrangeas, and these blush hydrangeas paired with white pumpkins and the unexpected addition of peaches to a fall table are stunning. See how Maison de Pax achieves this pink and copper look that is oh-so-stylish! (How perfect would this tablescape be for a girlfriends Friendsgiving?) You know what else would be perfect? Cranberry Moscow Mules in those copper cups. The Speckled Palate has an easy recipe and shows us how to make sugared cranberries, too. <yum!> I have never met a mule I didn’t like! You could even DIY some copper napkin rings with a quick trip to the pipe fitting section of your local hardware store! If you’re having a pink Thanksgiving you may like some of these Rose Gold Cocktails to carry on the theme. I absolutely love buffalo check- and I don’t have anything with this print. (Unless a flannel I bought my hubby counts…No, I don’t think it does!) This table setting is a great example of a modern farmhouse and would be so easy to replicate with white dinner plates, ball jars and succulents in gold planters. The buffalo check napkins are here– I may have to order these! Placing the pumpkins on candlesticks is such a good idea! It’s so elegant and also frees up table space for food and drinks. (See Style Me Pretty for 20+ more photos.) The gold-rimmed glasses are gorgeous- and totally unexpected outside! Thrift stores are a fantastic source for brass candlestick holders. I’d definitely start there if you don’t have any and want to achieve this look. If your style is decidedly minimalist, you can still decorate a lovely table for Thanksgiving. This table from Fox Fodder Farm shows us that less really is more because this simple table is gorgeous. I love the sheer cheesecloth tablecloth and these simple gold candle holders. This cheesecloth is approximately 3′ x 15′ long. Depending on the length of your table and how much overhang you want, you may be able to get away with one package. At around $10 this is one inexpensive tablecloth that you can reuse for baking. You have to visit Inspired by This to see more photos of this *incredible* boho-inspired outdoor Friendsgiving tablescape for 30 people. It is amaaaaazing! Each setting has an enamel cup stocked with the most thoughtful goodies and each chair is draped with a vintage blanket. I adore this tablescape! Those vintage amber-colored water glasses are a blast form the past. You cold get really lucky and find a set or two thrifting, so start now if you love this look. Well, these are all so fantastic that I have not even narrowed it down. 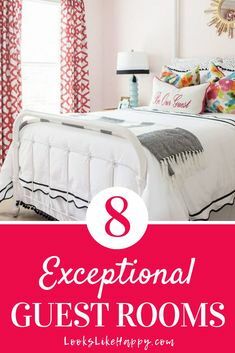 Unless narrowing it down to these 12 ideas counts! Which is your favorite? Let us know in the comments. And like I said above, I would LOVE to hear about your outdoor Thanksgivings- if you have pictures to share that’s even better! Each Thanksgiving tablescape is so different, yet they are all so beautiful. Decisions, decisions! The more I write and edit this post, the more excited I am to host Thanksgiving. It’s such a relaxing, fun holiday. Are you ready for more seasonal and decor ideas? Then you won’t want to miss these posts! Thanksgiving Appetizers You Won’t Believe are Keto Friendly! Make Thanksgiving Easier with These 11 Sides That Can Be Made in Advance!